DISC is a simple, practical, easy to remember and universally applicable model. It focuses on individual patterns of external, observable behaviors and measures the intensity of characteristics using scales of directness and openness for each of the four styles: Dominance, Influence, Steadiness, and Conscientious. Using the DISC model, it’s easy to identify and understand our own style, recognize and cognitively adapt to different styles, and develop a process to communicate more effectively with others. Based on the research of Dr. William Moulton Marston, DISC is the most widely used behavior profiling tool of its kind, supported by decades of research and validation. Whether you’re a member of a large or small organization or business, the DISC reports offer accuracy for a range of dynamic business applications. The DISC Leadership Report trains managers and supervisors to (a) know their natural behavioral tendencies, (b) identify their employees’ observable behaviors, and (c) adapt their leadership style to optimize the employee’s work style. Use DISC to bring clarity and newfound understanding among otherwise contrasting behavioral styles. Optimize your communication environment for a more productive and profitable outcome. This DISC Collaboration Report shows how two employees interact with each other to help them develop a better working relationship. The alignment of their DISC behavioral styles is only one aspect within their working relationship, but it’s one of the most crucial elements, as it defines how they interact and communicate with each other. Use the DISC Coaching Report to identify and understand your own style, recognize and cognitively adapt to the styles of employees, and develop a process to coach them more effectively. You can also use this report to adapt to the styles of your colleagues and your direct supervisor. Use the DISC Service Report to train anyone how to exceed customer expectations for courteous treatment and professional service. Your staff will be equipped to deal with any behavioral style. To build a top-performing team, you must first find out who meshes and who clashes. 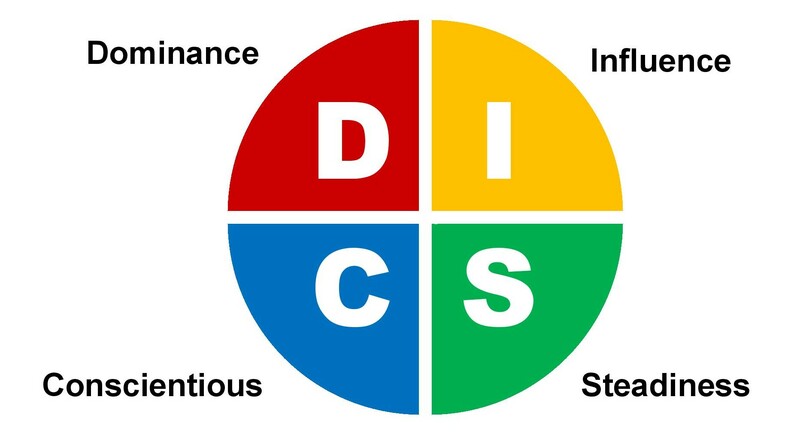 The DISC Team Dynamics Report assists you to better understand and develop how well your team functions and performs. It provides an overview of the combination of different behavioral styles within the team and has been created from the individual DISC Behavioral Profiles. These profiles measure tendencies of observable behavior and emotion, based on the DISC model of directness/indirectness and guarded/openness. What if you could have an enhanced 360º view of your leaders? In other words, imagine having the ability to process the collective perceptions of how others see your leadership team. Often, the way we perceive ourselves and the way others perceive us are two very different things. Managers and supervisors often persist in communication and organizational practices believing everyone recognizes their “obvious” intentions, overlooking costly misinterpretations that stem from different behavioral styles. Those challenges lead to unfortunate workplace inefficiencies that are difficult to resolve. DISC 360º pulls “observer data” from a user’s colleagues and employees providing the user with an informed “self-audit” to eliminate workplace miscommunication and improve supervisor-employee relationships. Wondering how you can leverage DISC to elevate leadership, relationships, and teamwork? Book your complimentary strategy call today!